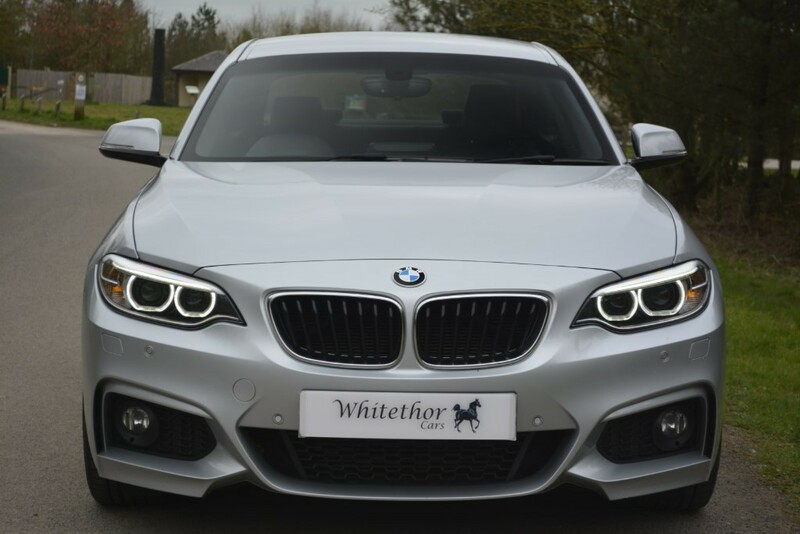 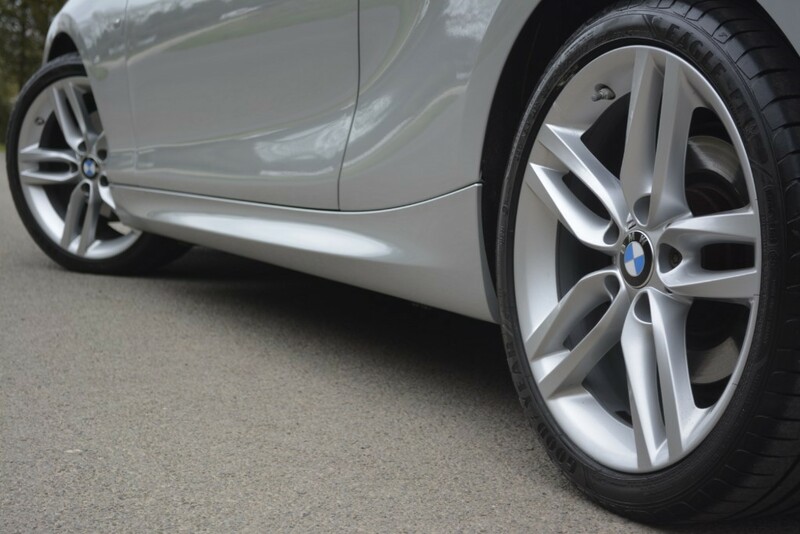 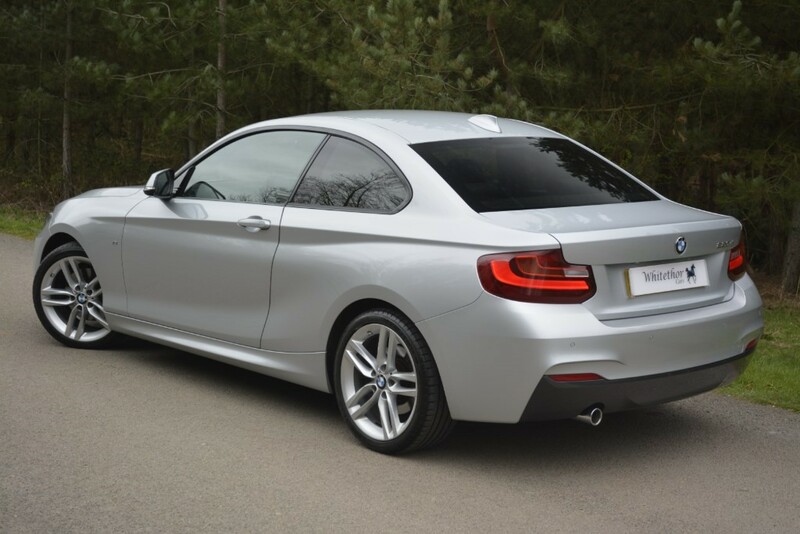 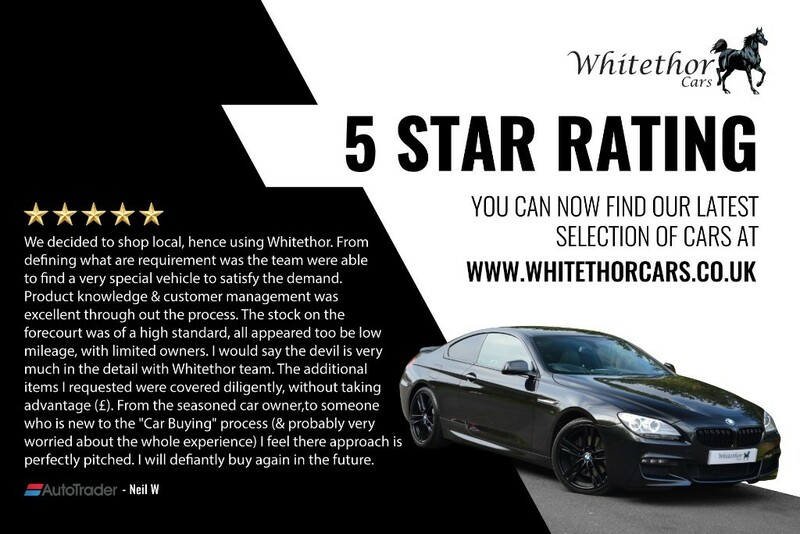 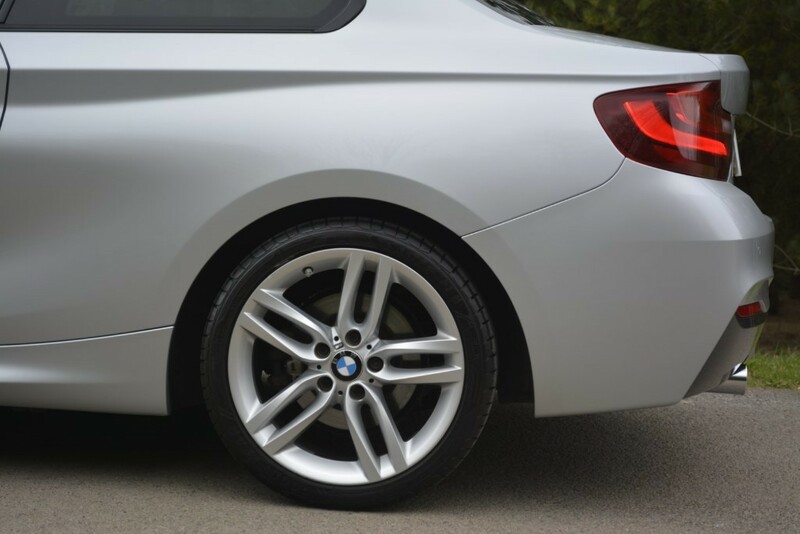 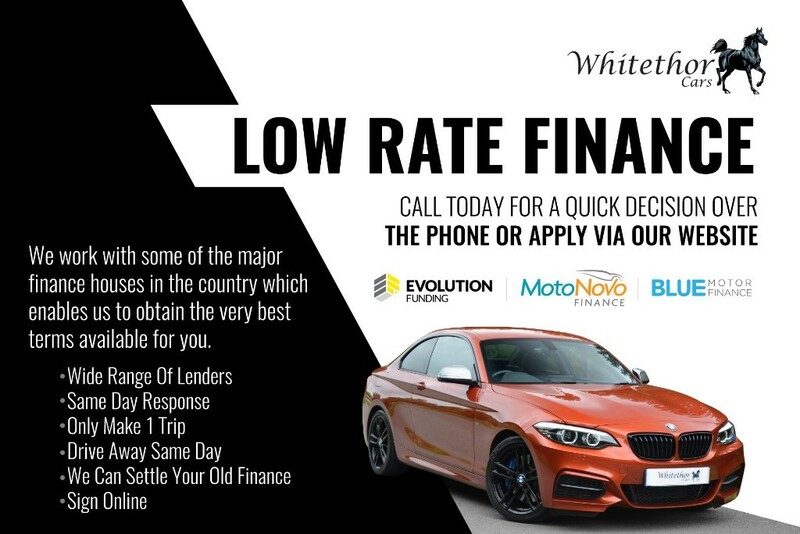 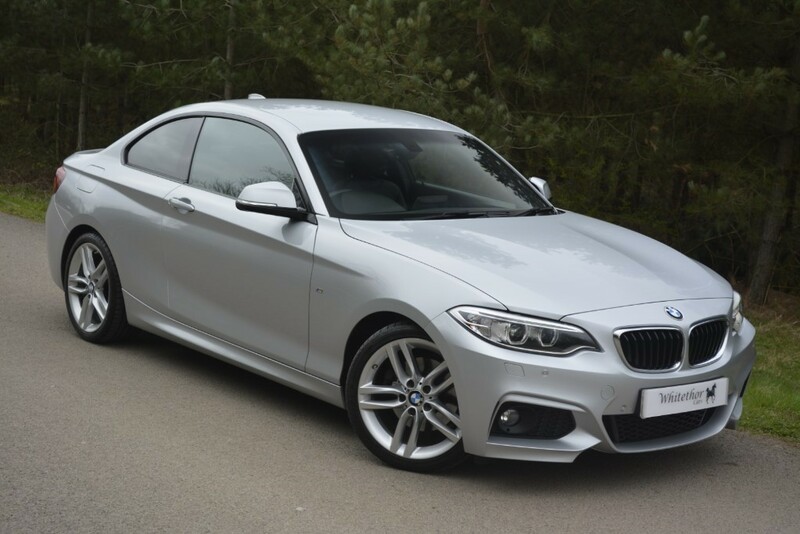 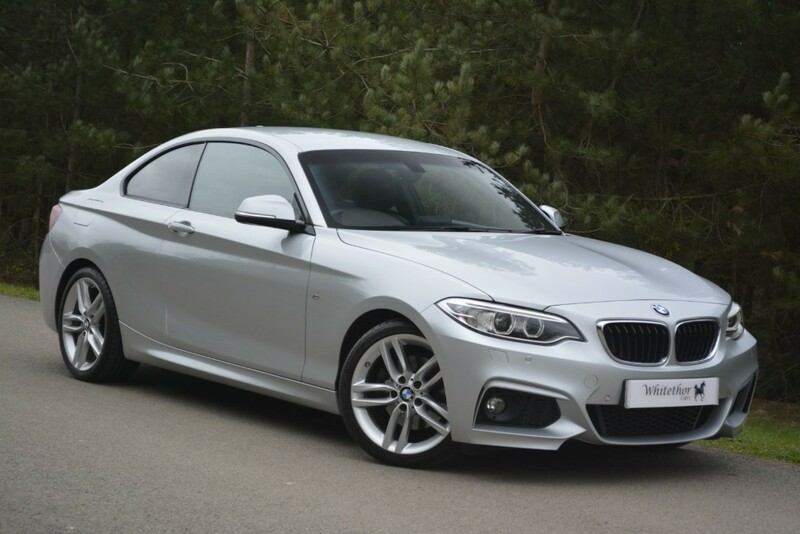 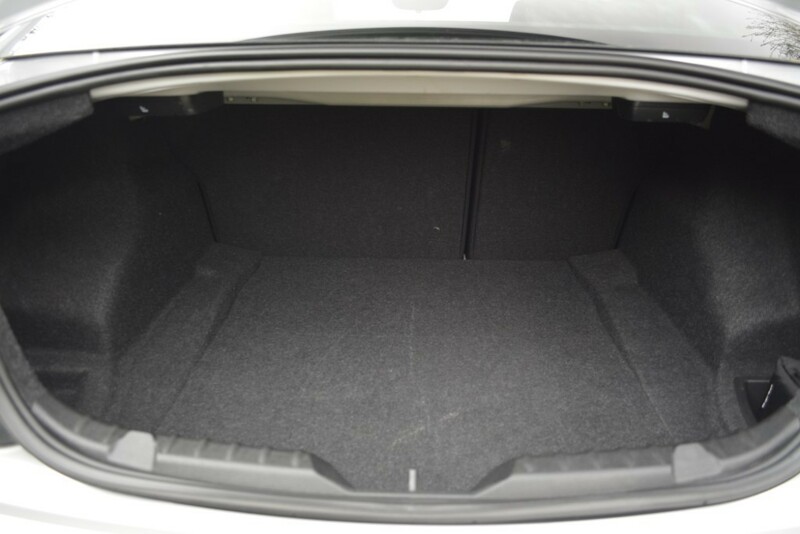 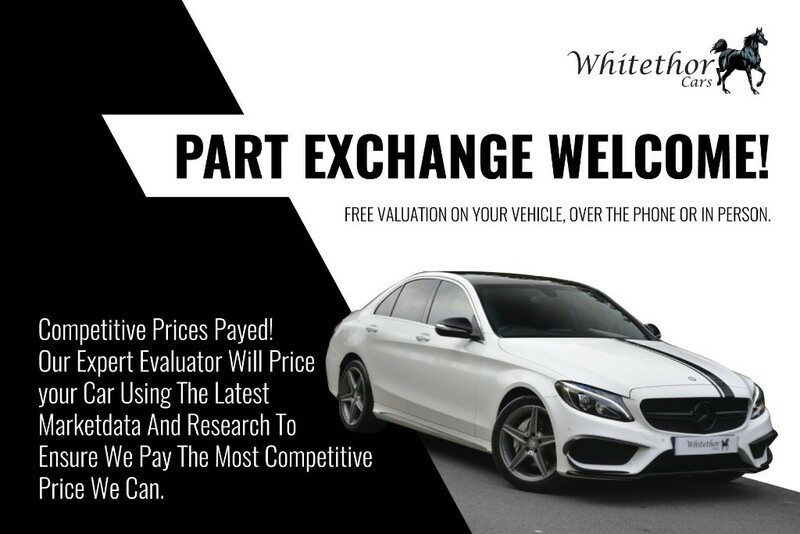 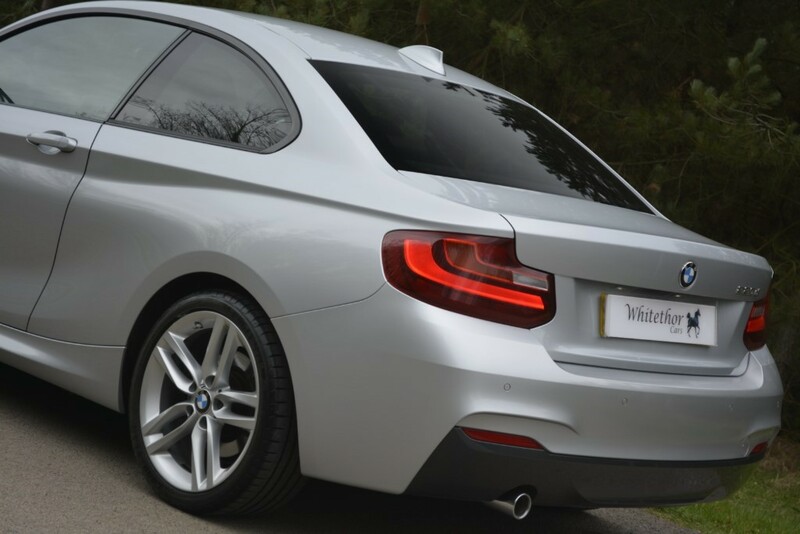 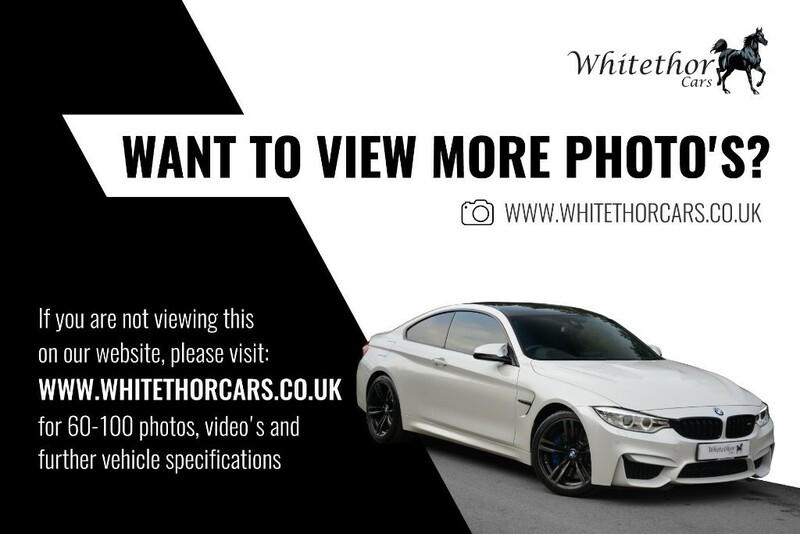 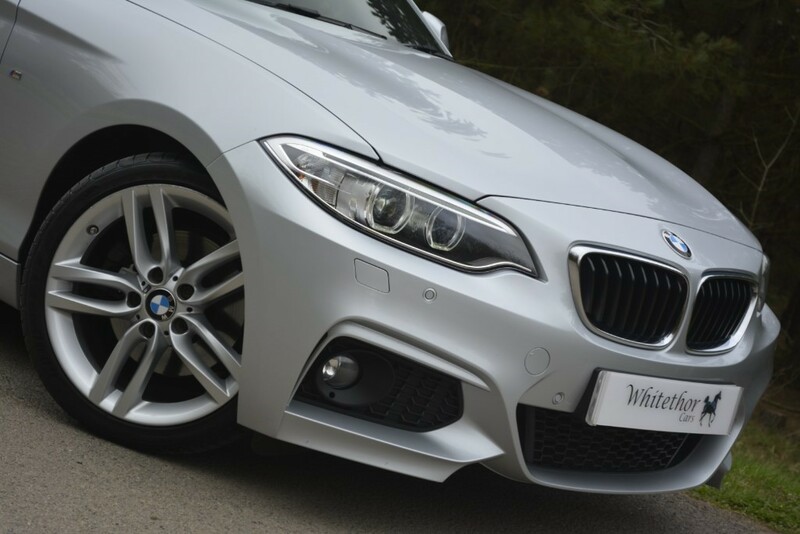 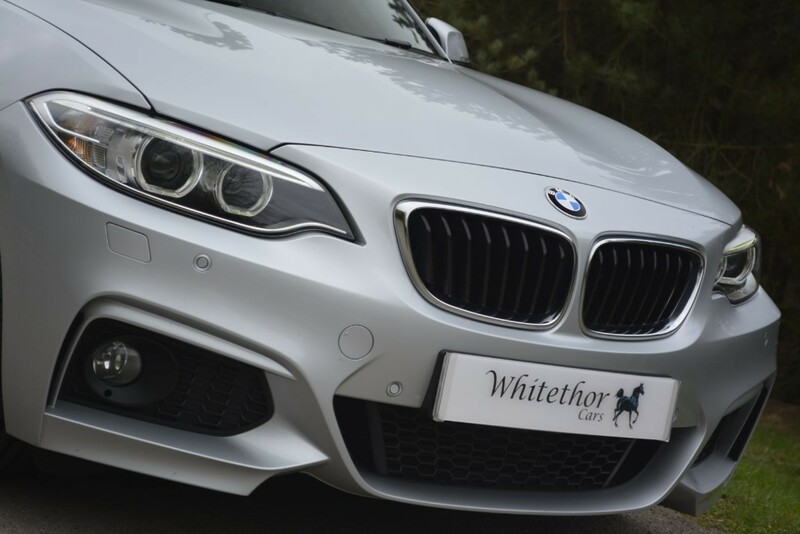 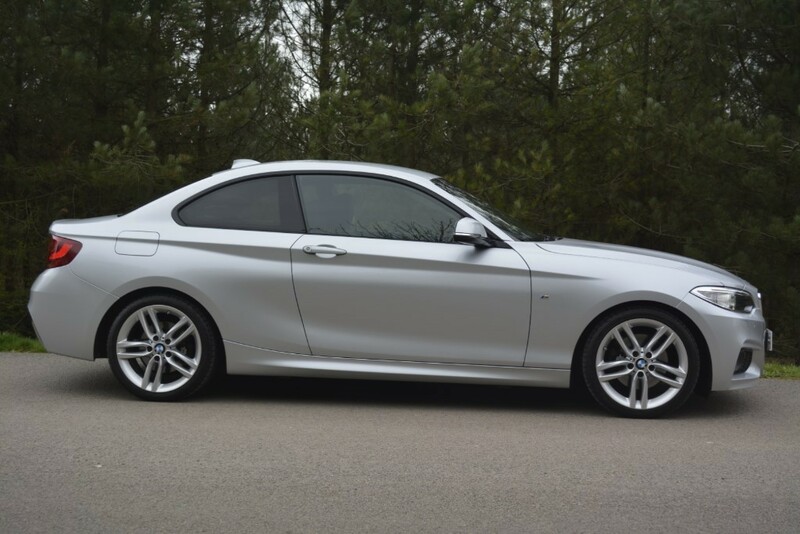 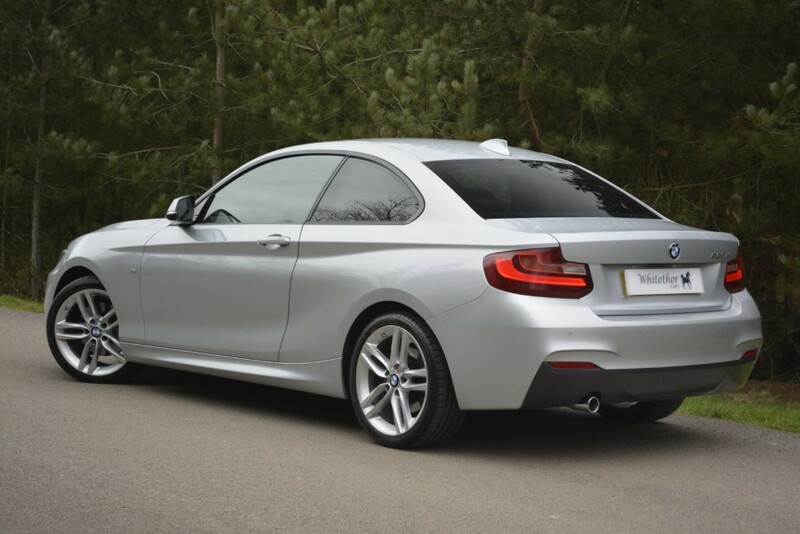 Here we have A very high spec 2 Series Coupe for sale, This model is the 220d which is the perfectly balanced engine choice for those wanting performance as well as economy. 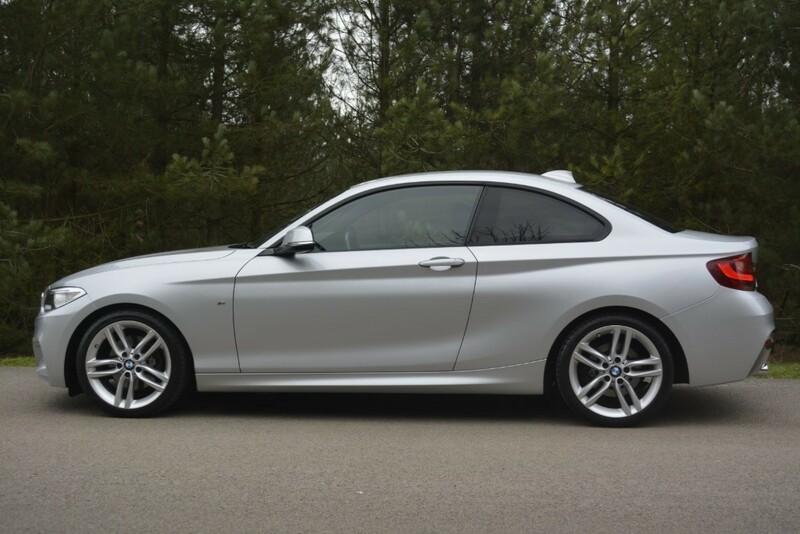 If you didn't know the 2 series is basically the new 1 series coupe but not only is the current 2 Series better looking than the 1 Series Coupe, it’s also longer, wider and more practical than before. 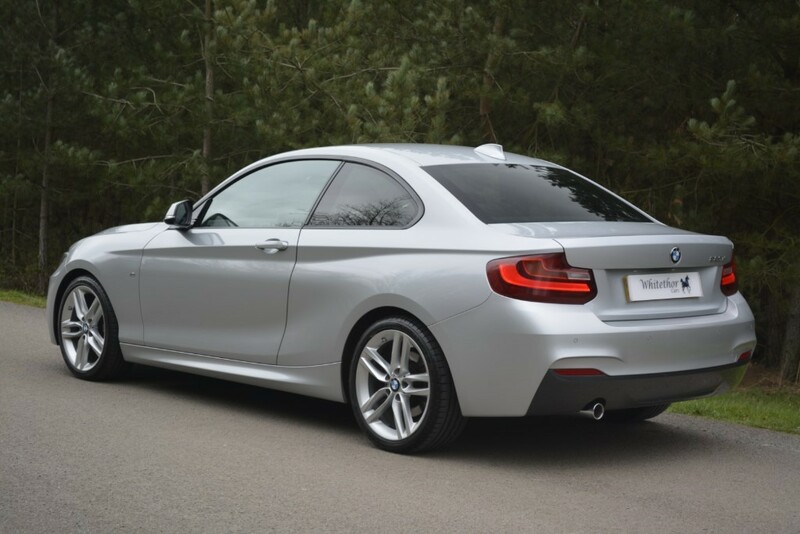 It feels like a standalone model in its own right, rather than simply a two-door version of the 1 Series. 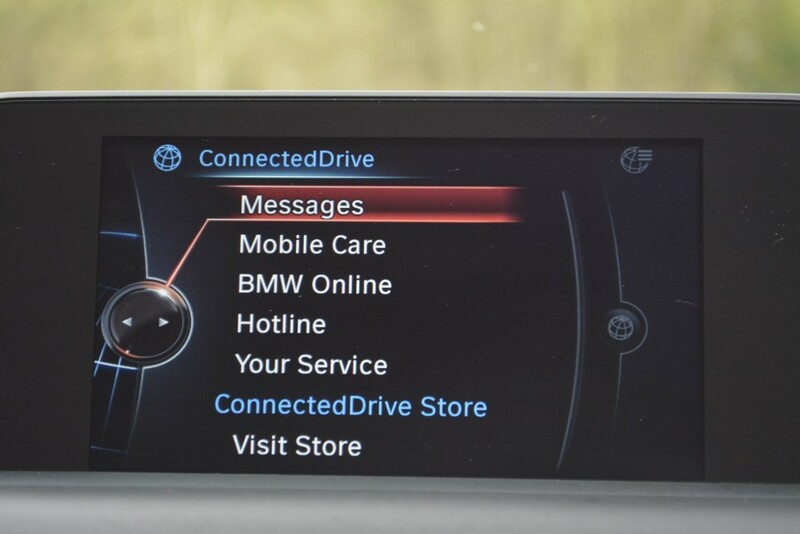 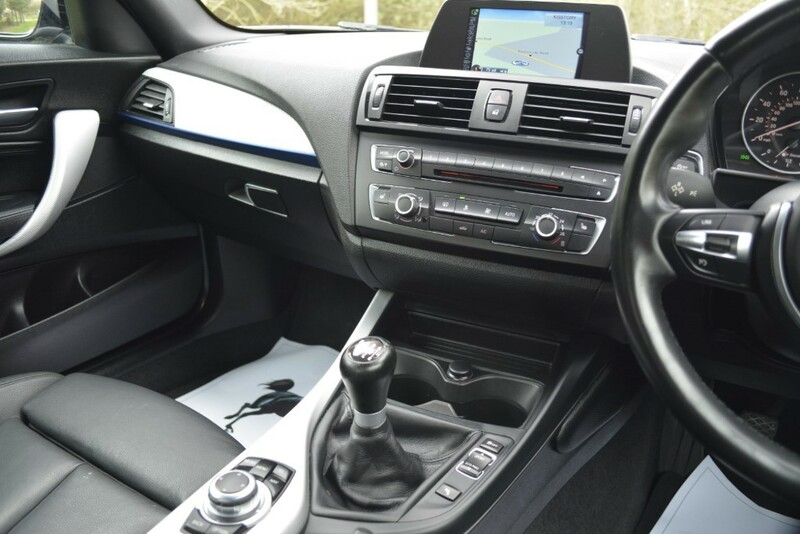 In fact, it looks and feels like a junior 4 Series. 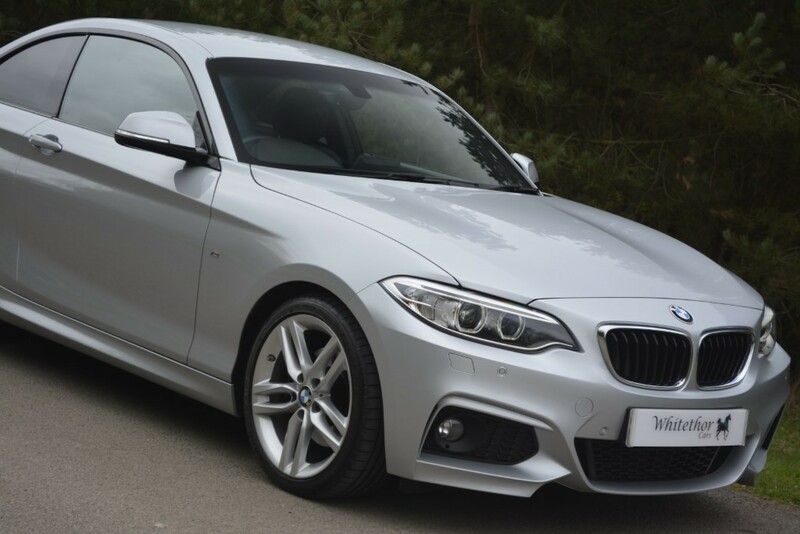 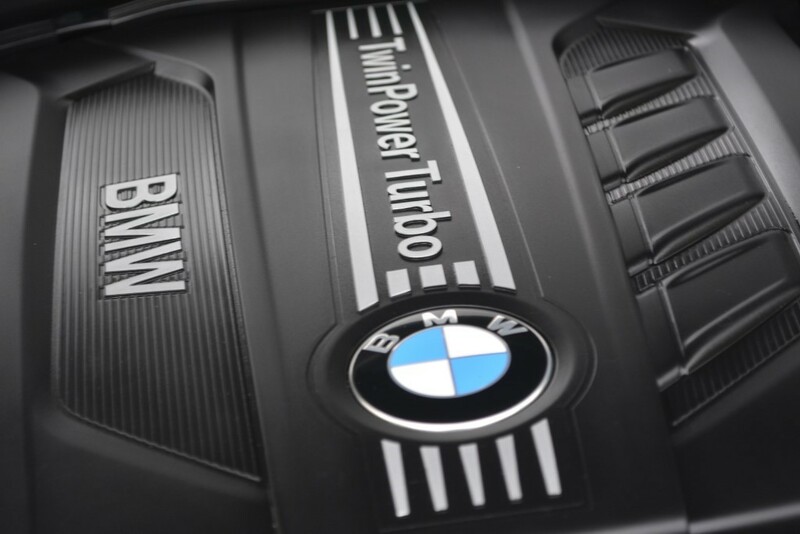 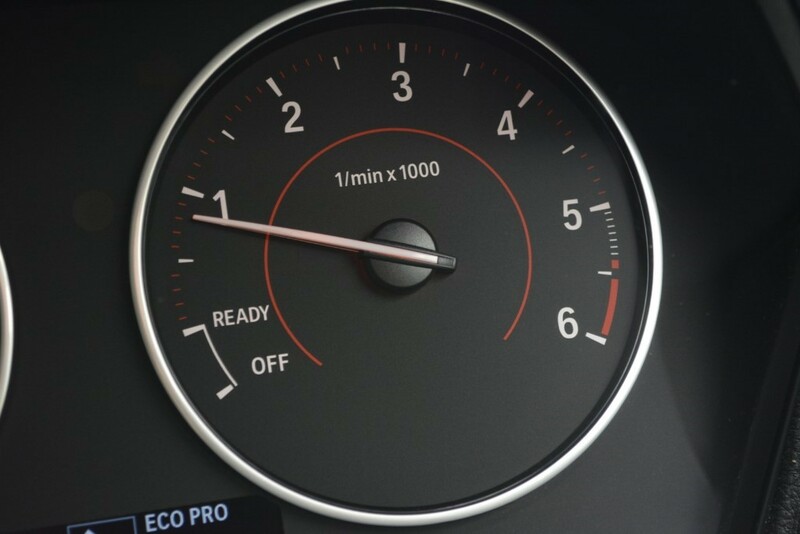 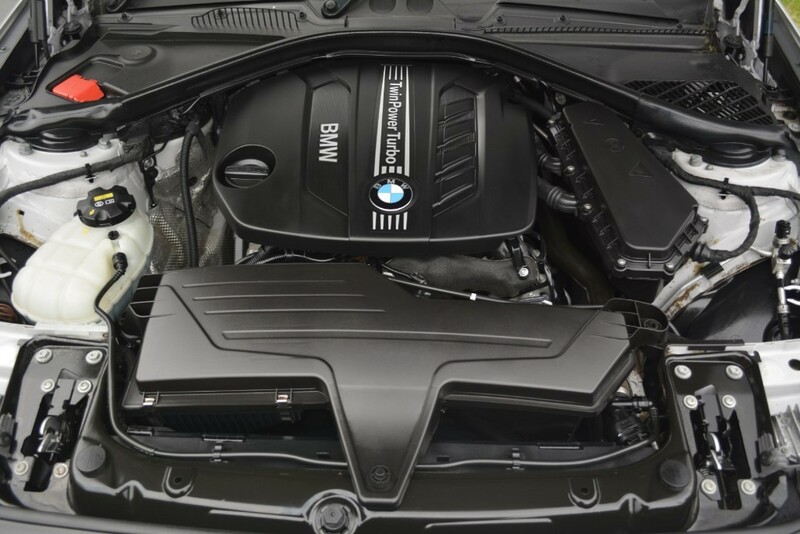 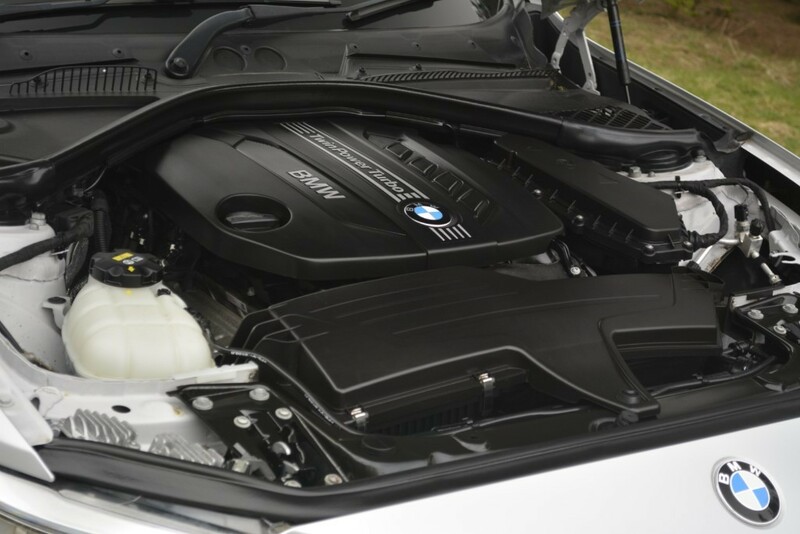 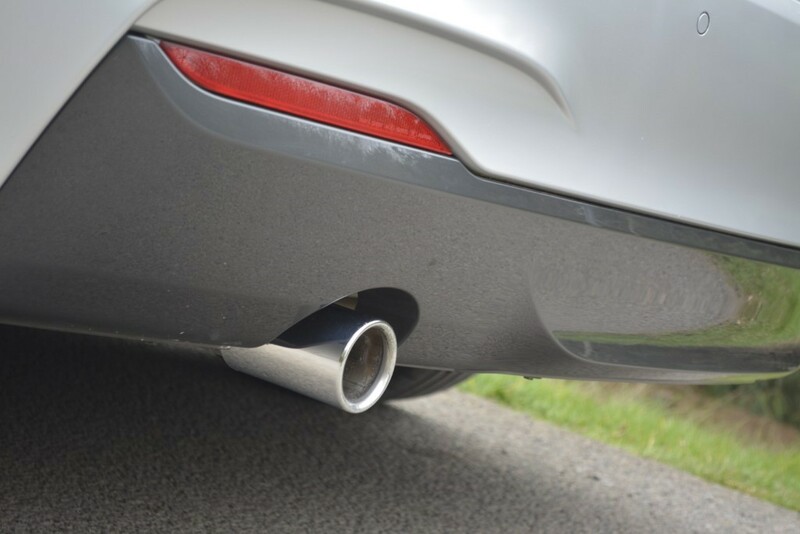 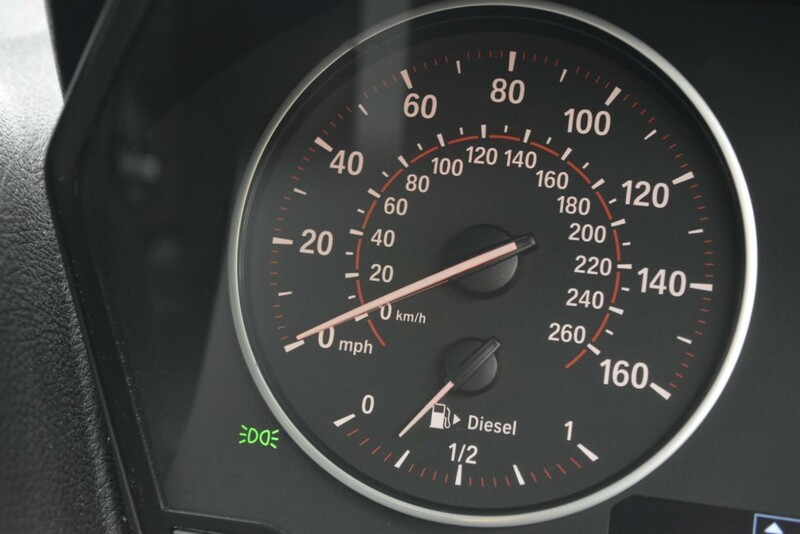 This model is an M Sport which again is the top of the range package for this diesel engine but these cars have to be well spec'd from the factory to impress and this one sure does. 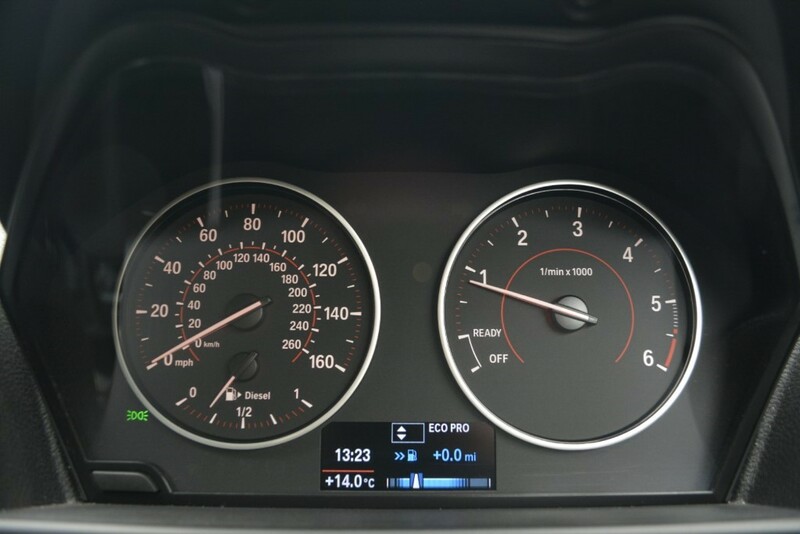 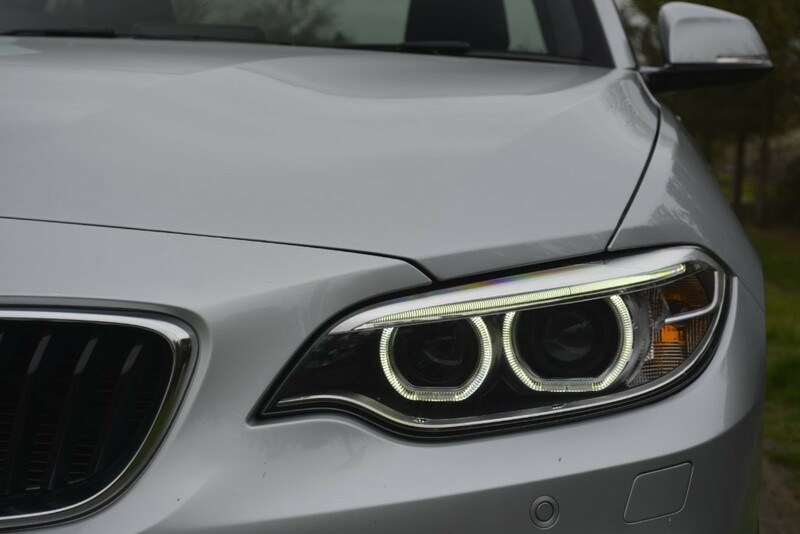 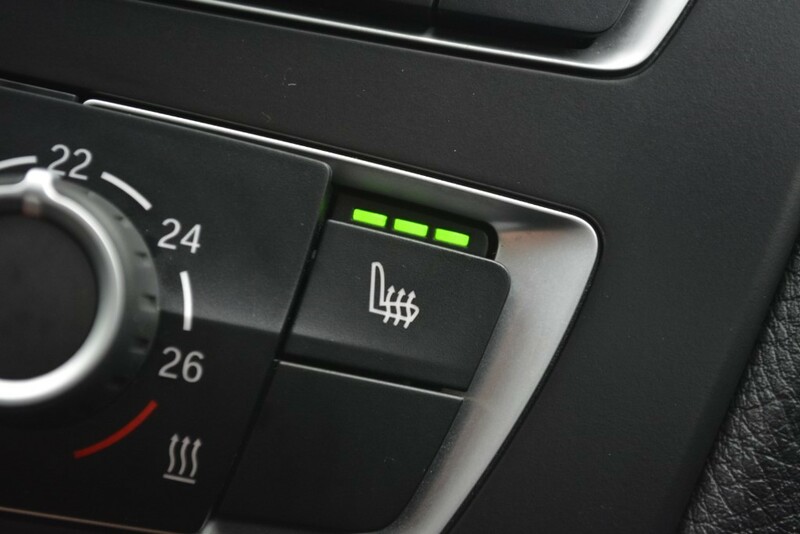 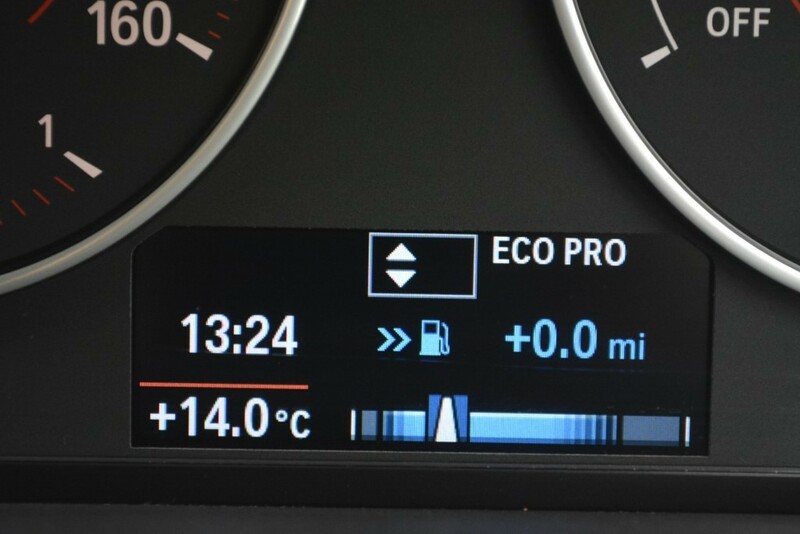 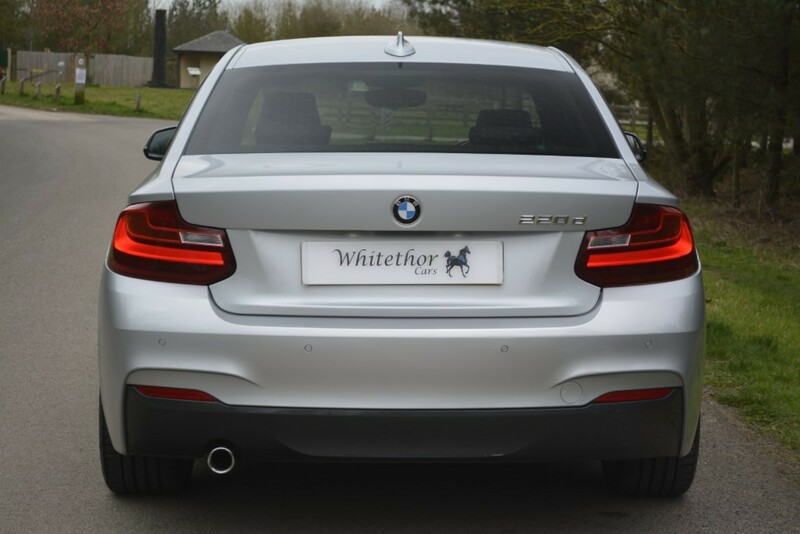 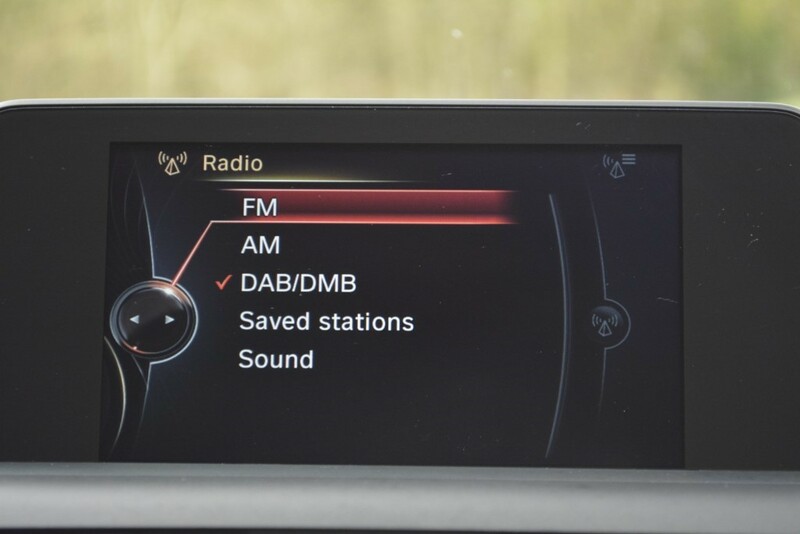 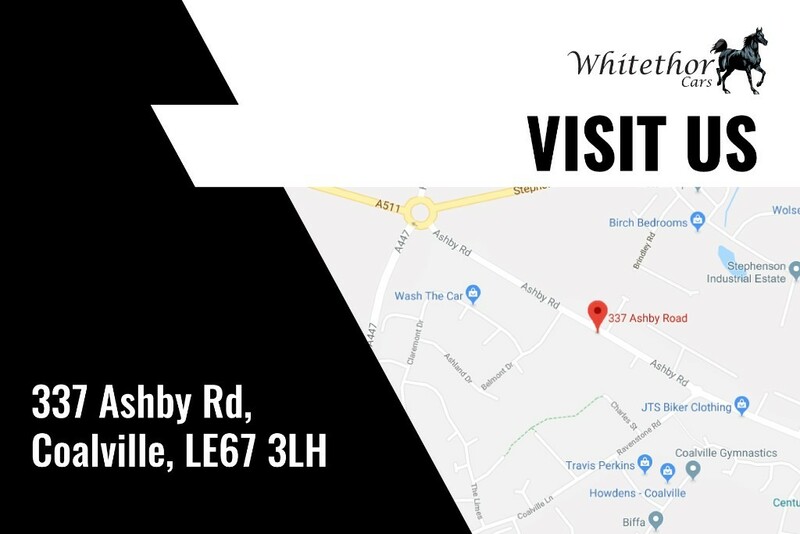 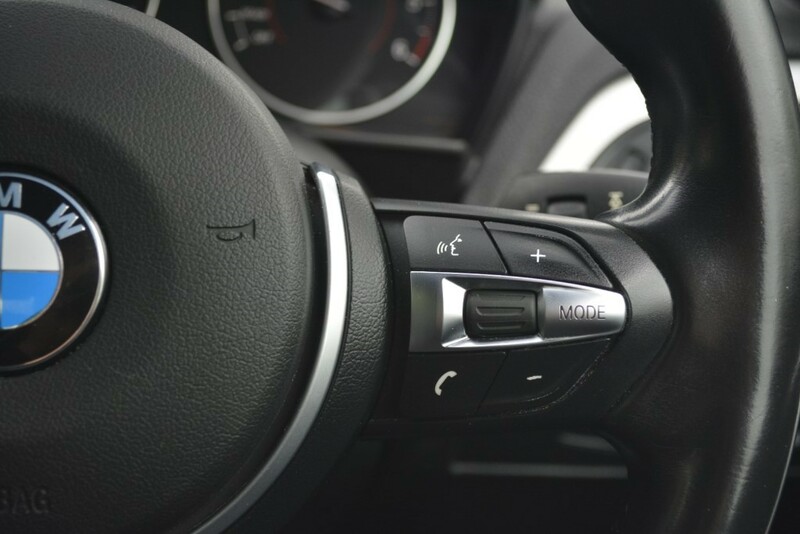 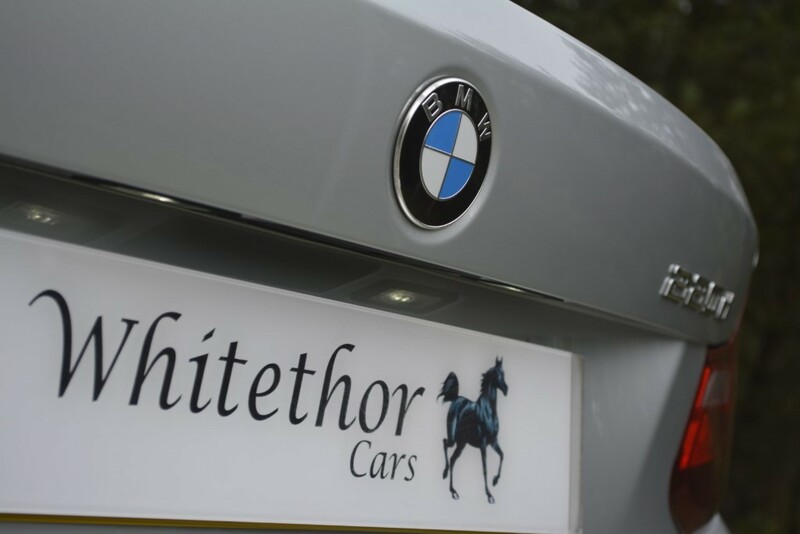 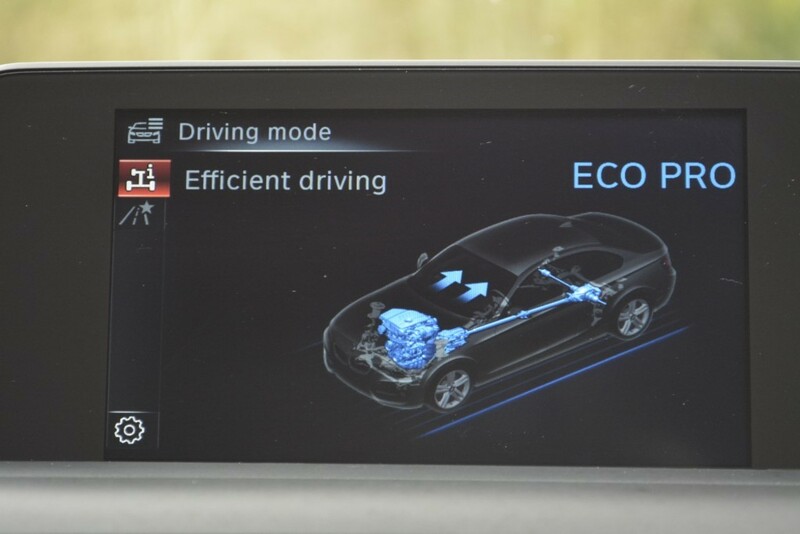 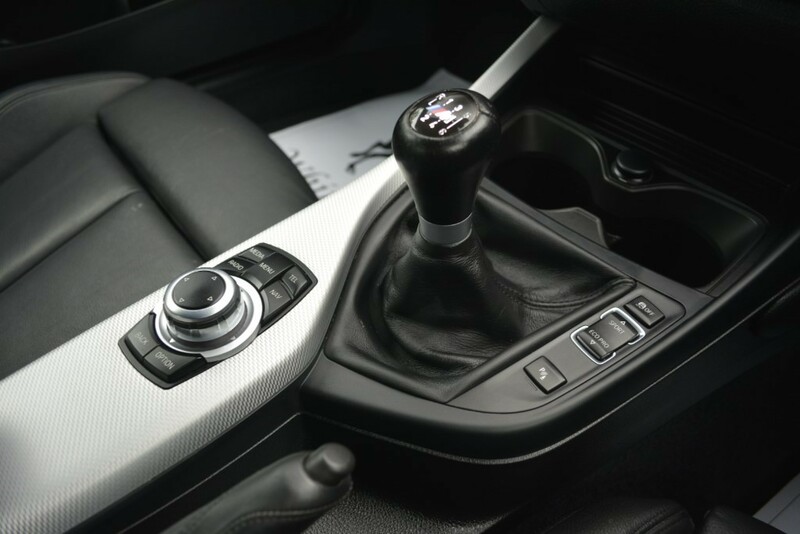 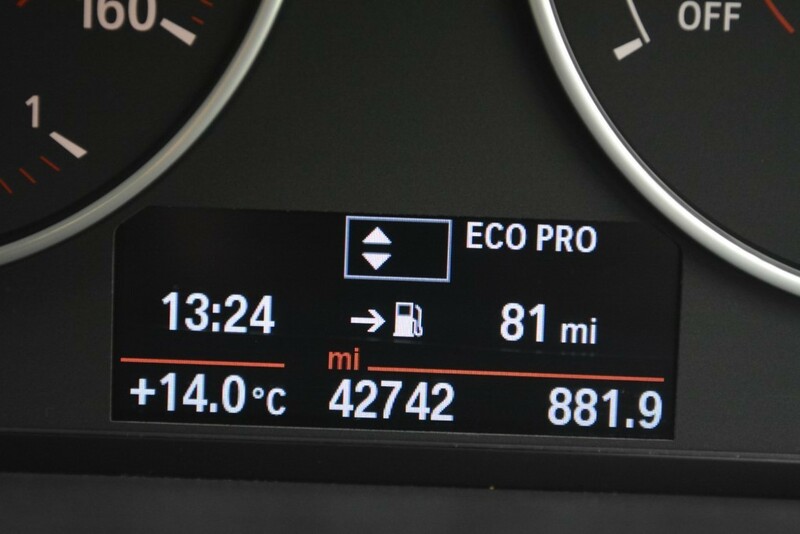 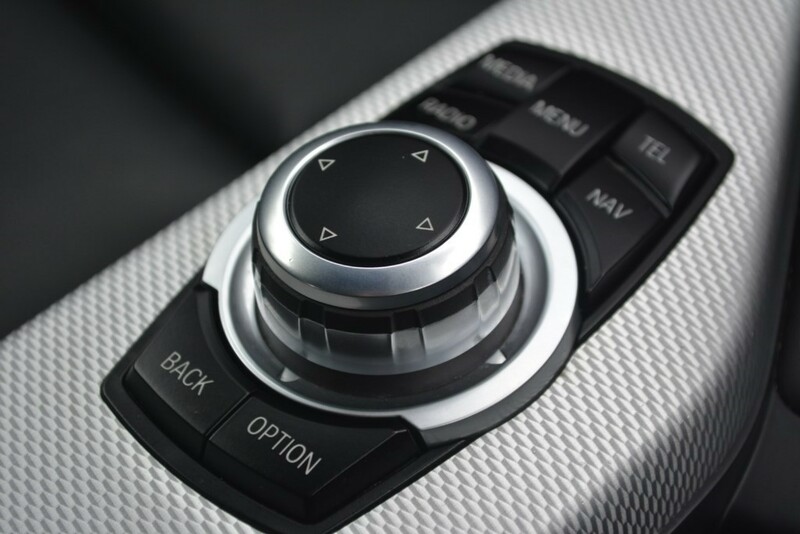 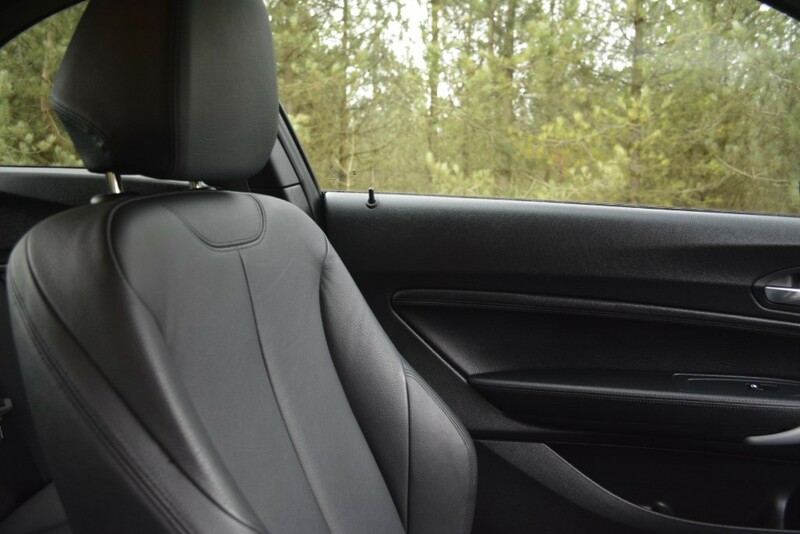 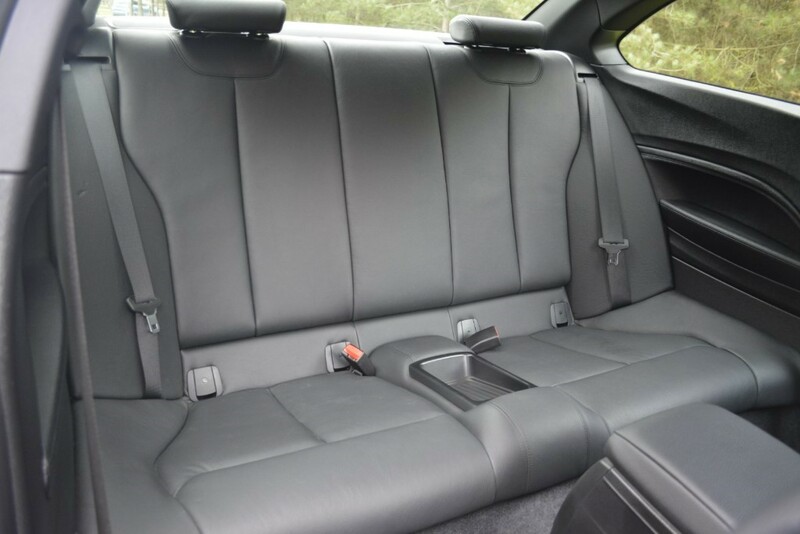 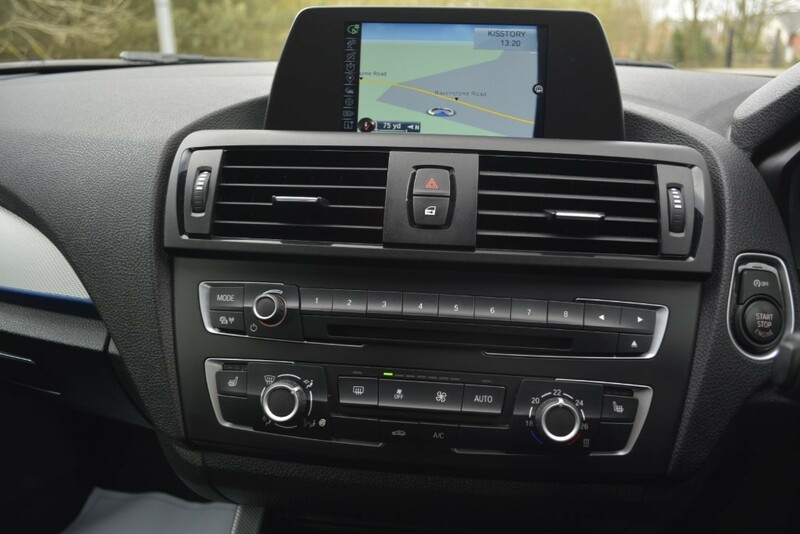 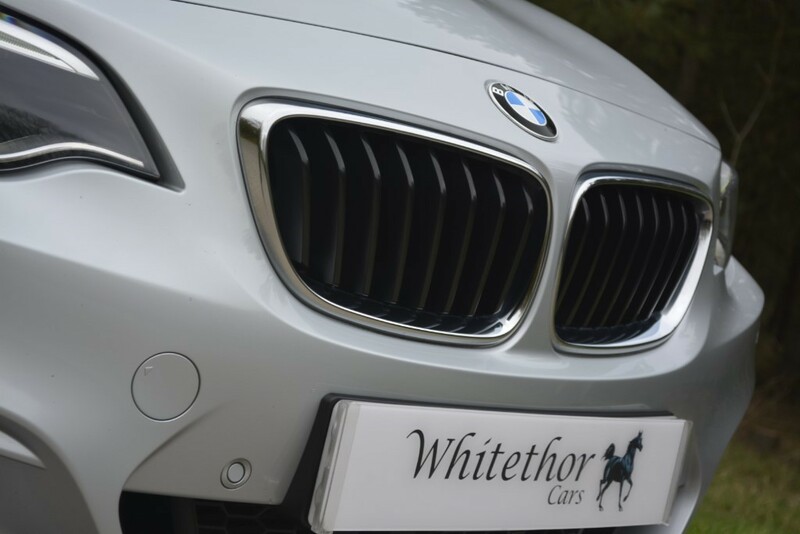 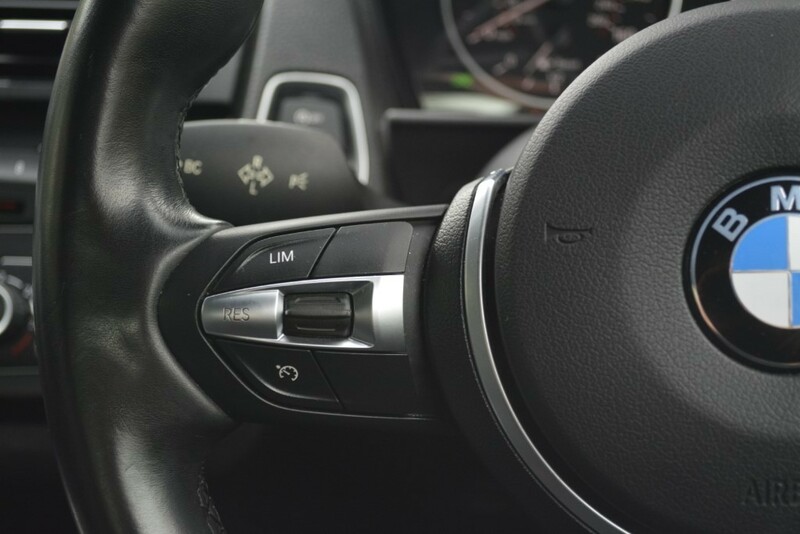 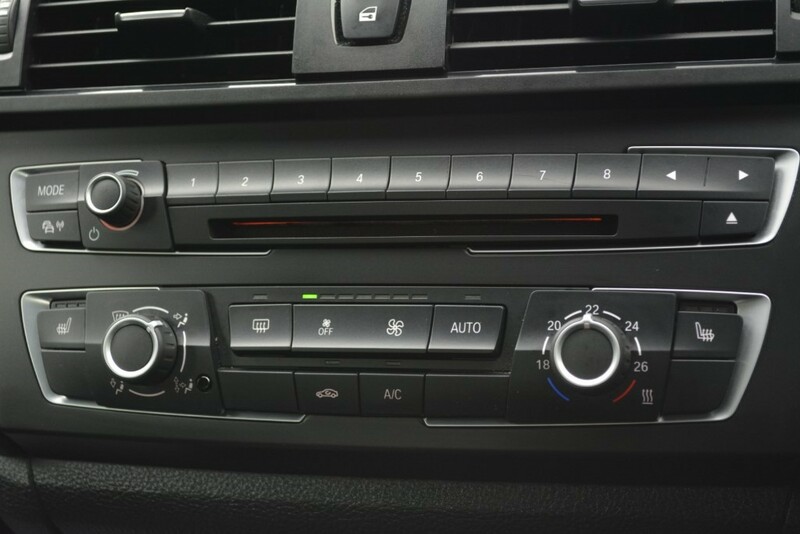 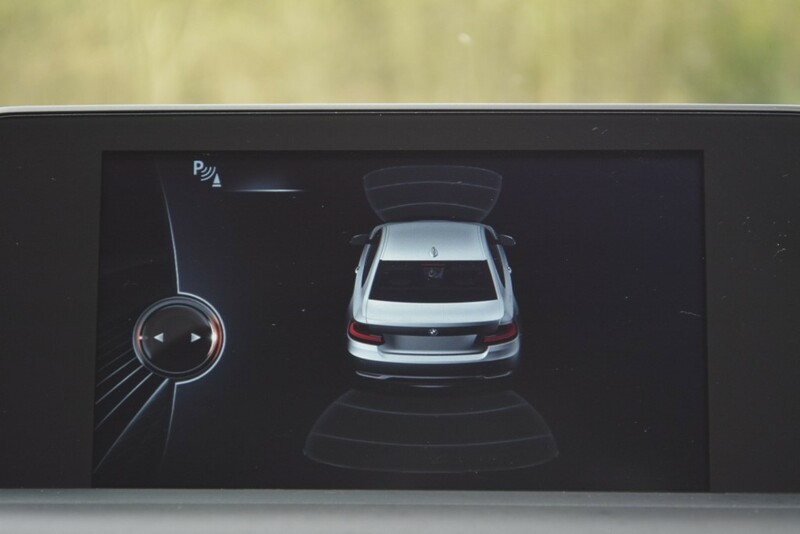 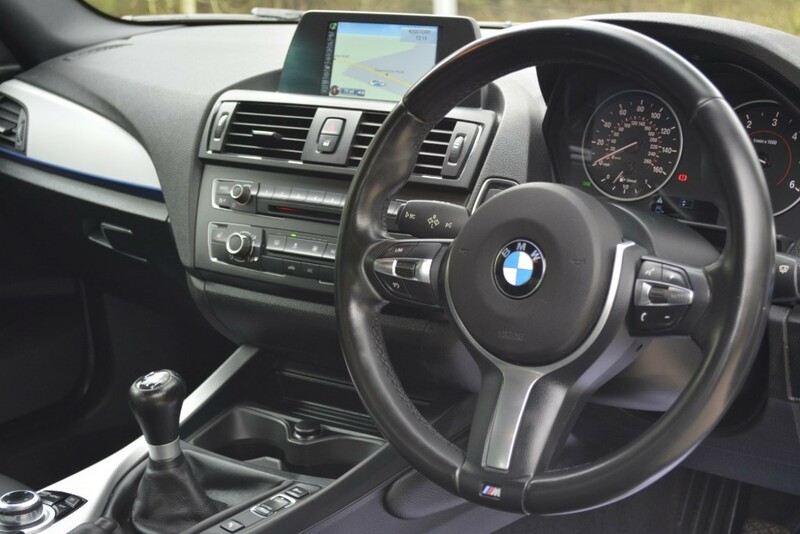 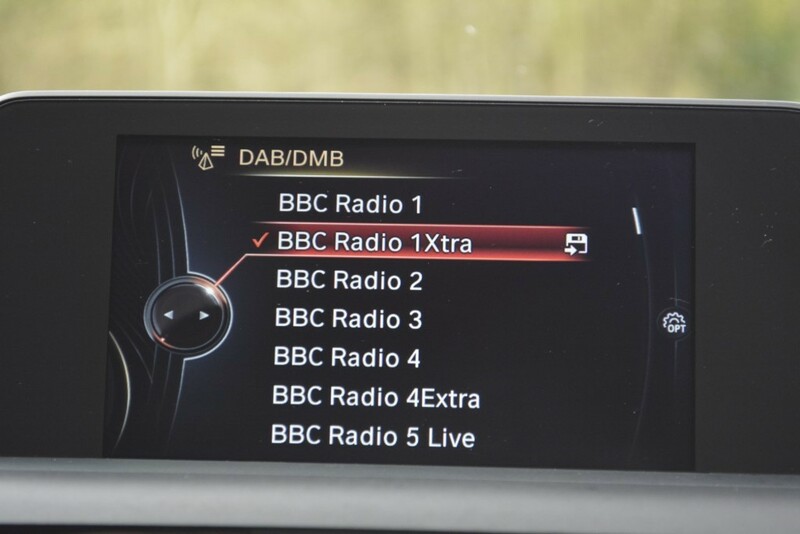 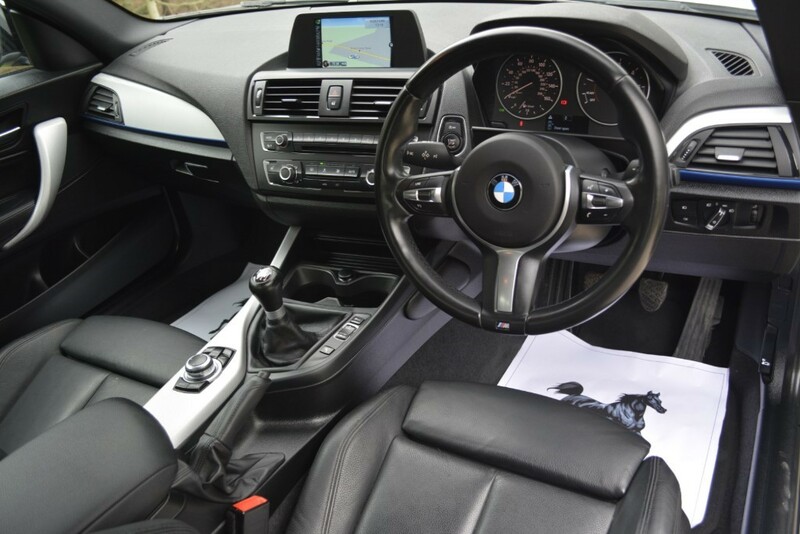 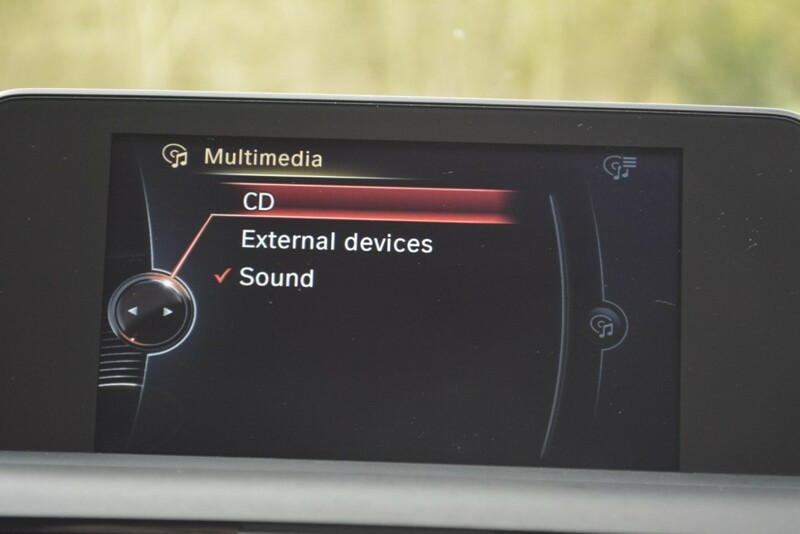 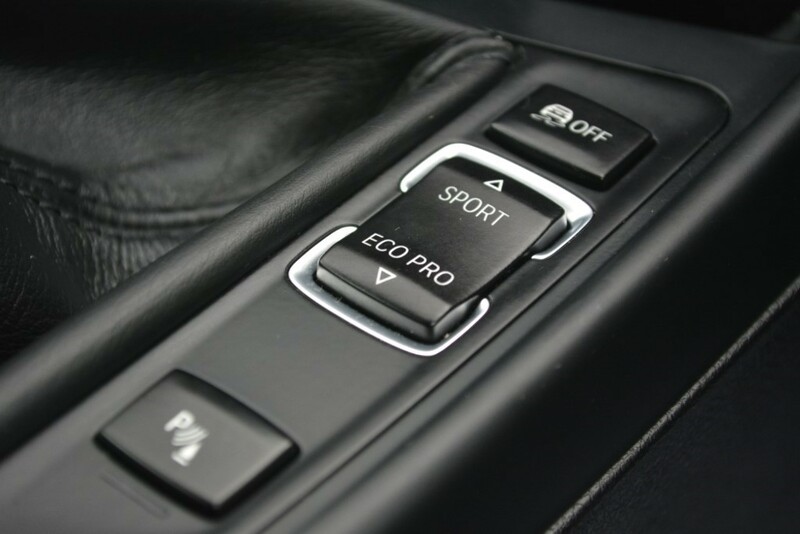 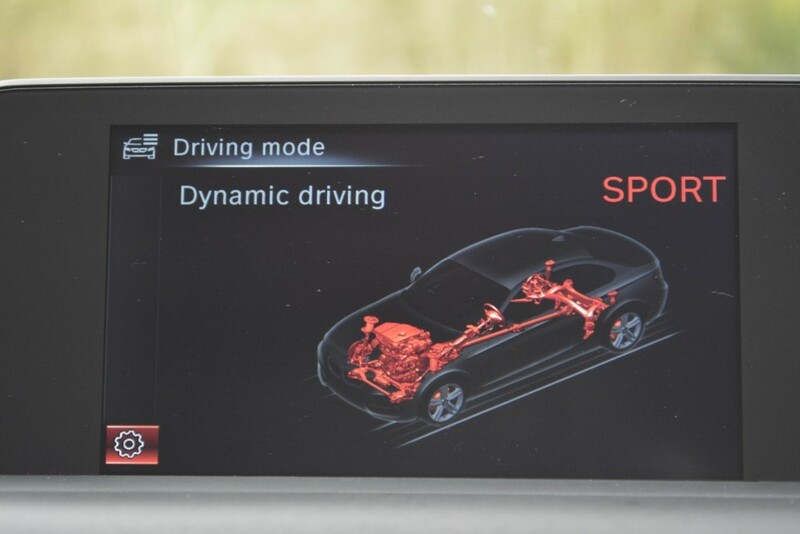 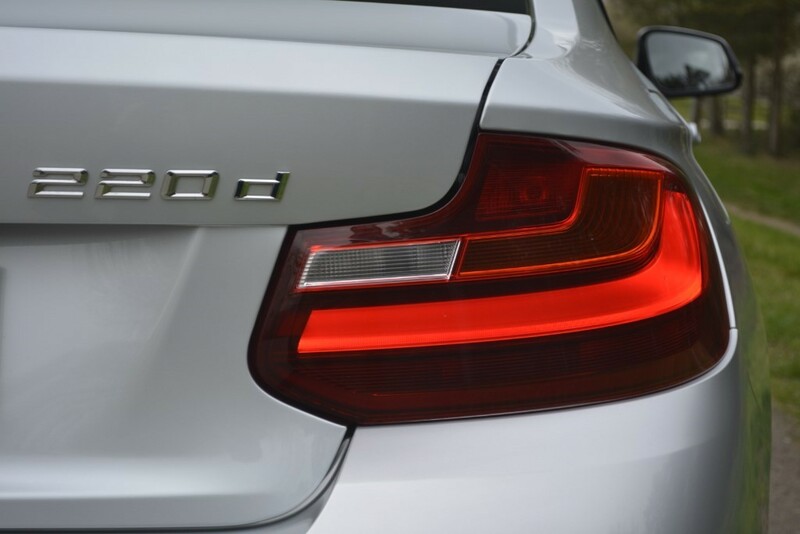 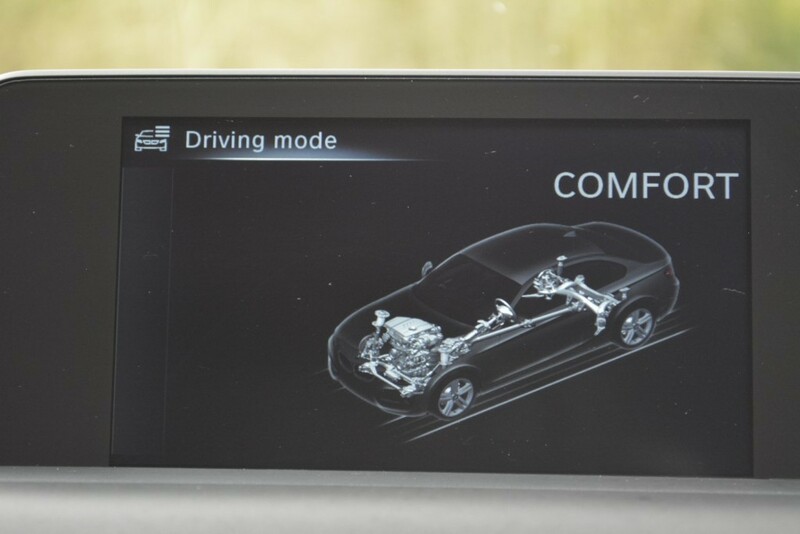 It has £3600 worth of optional extras such as - Dakota Leather Seats -- BMW Business Media Package -- Front Sport Seats -- Privacy Glass -- Park Distance Control Front & Rear -- Front Heated Seats -- Black Glass Window Surrounds -- Cruise Control -- Xenon/LED Headlights -- Bluetooth Audio. Making this a very well spec'd model! 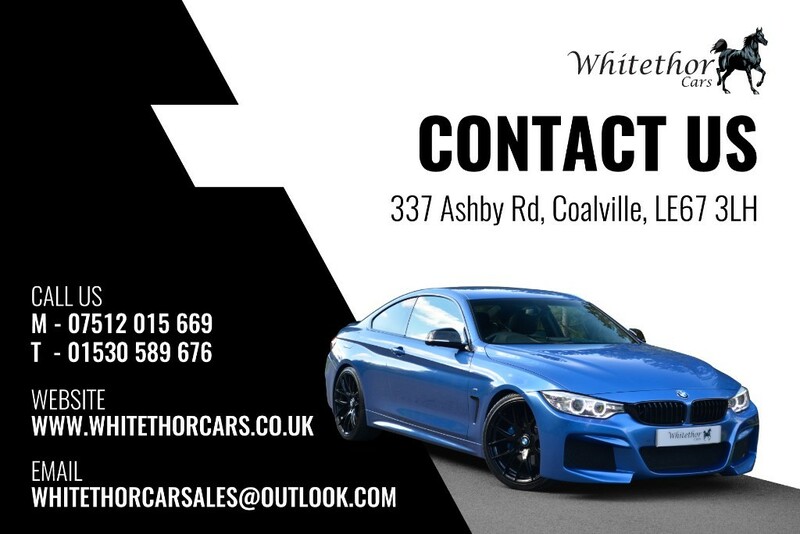 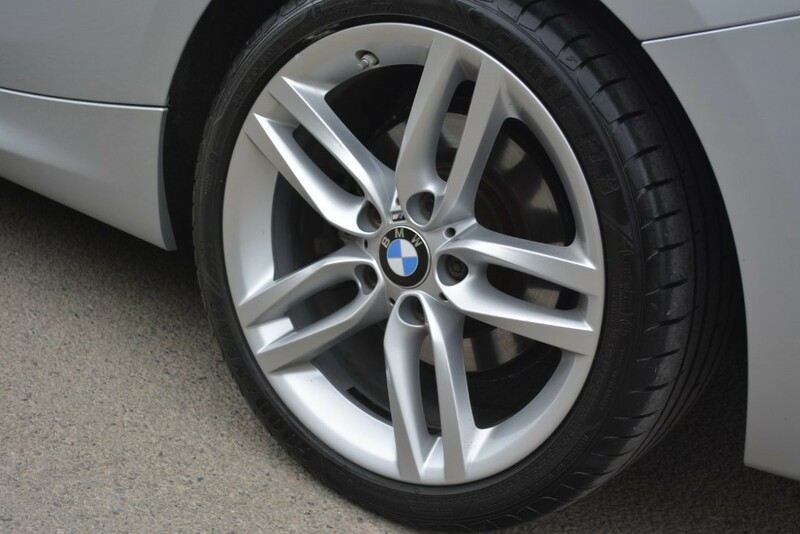 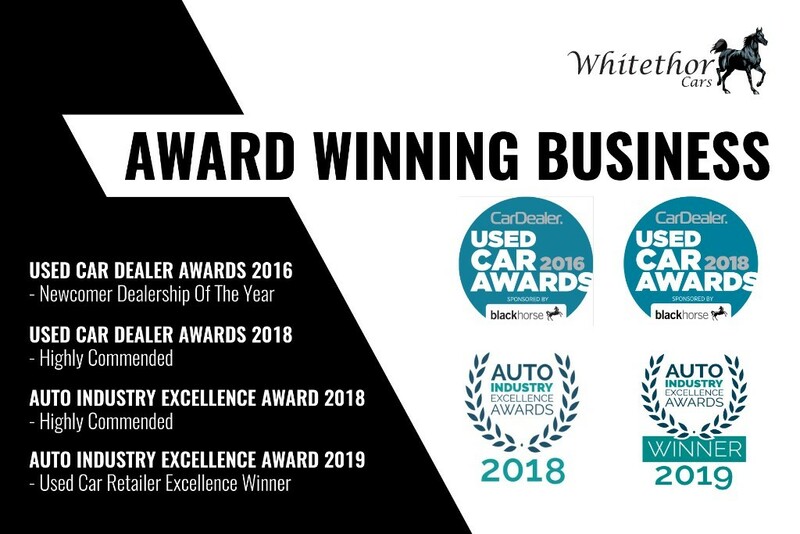 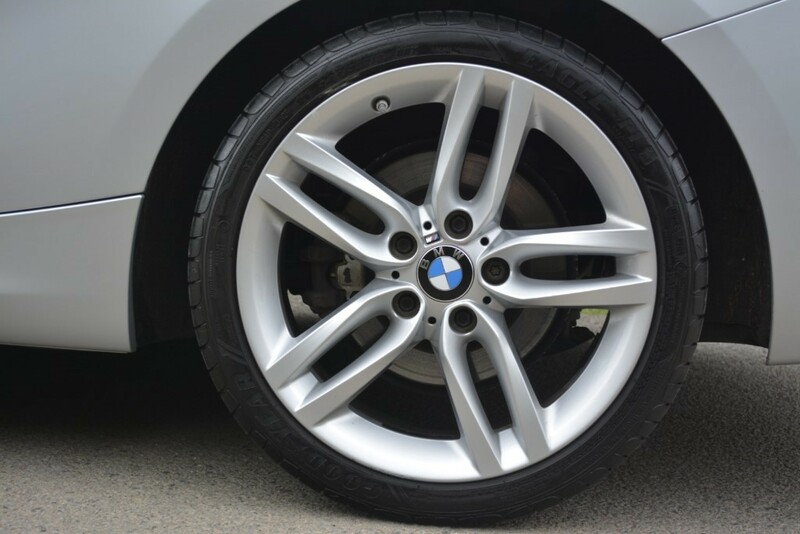 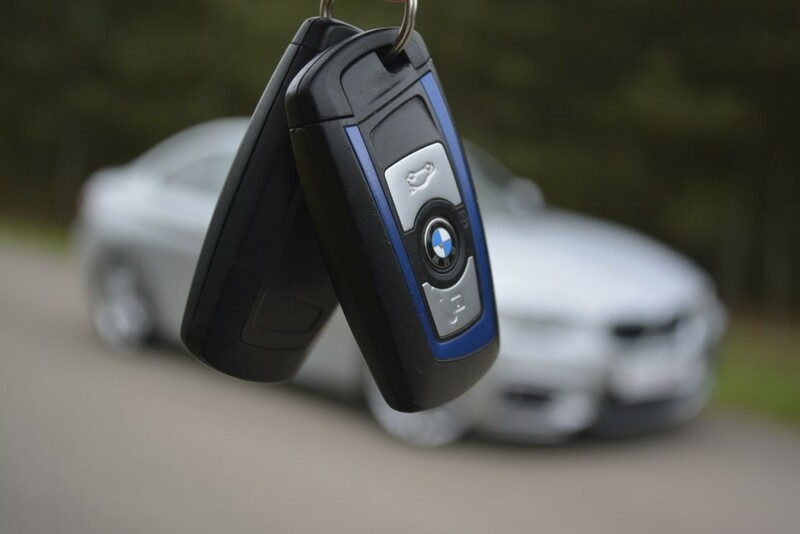 The car has only had 2 previous owners and Full Services History ( 2 BMW services & 1 Independant Service) Last serviced on the 10/11/2018 at 42000 miles, The MOT expires on the 09/11/2019, The car has 2 keys and all manuals & Docs. 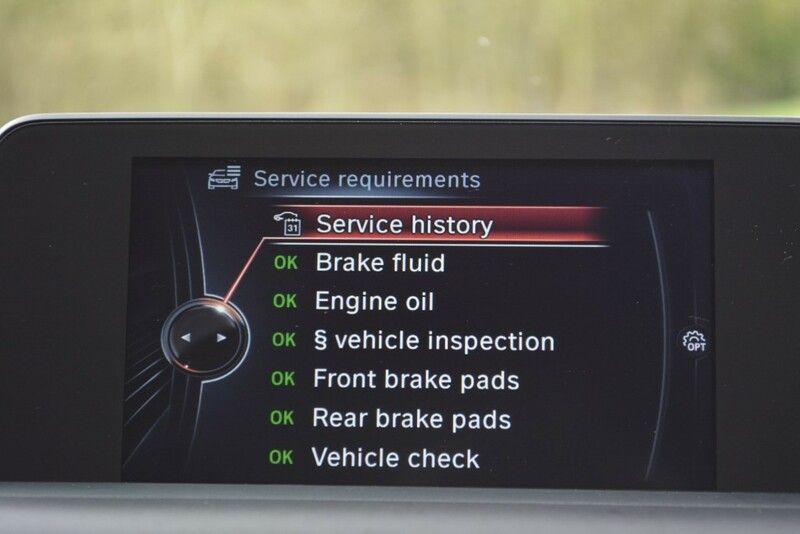 The Previous owner sold the car as he was simply not using it! 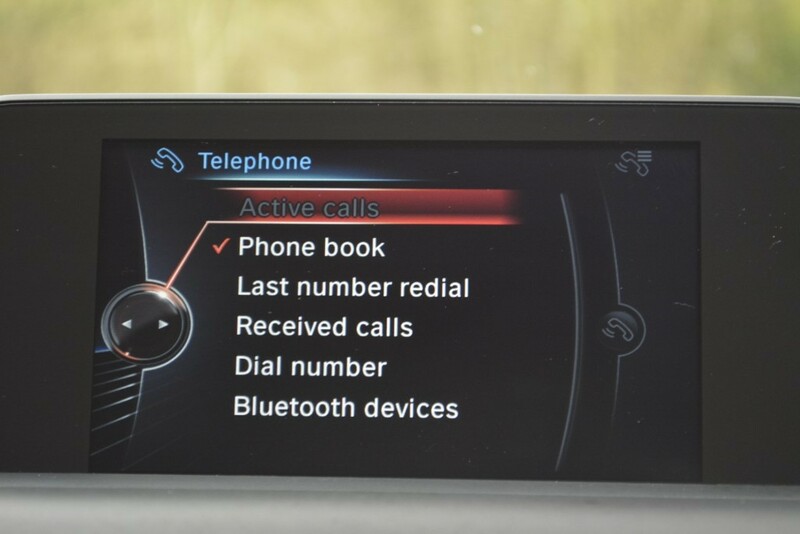 (Van Driver). 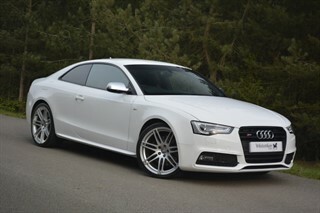 The car is HPI Clear and is ready to go! 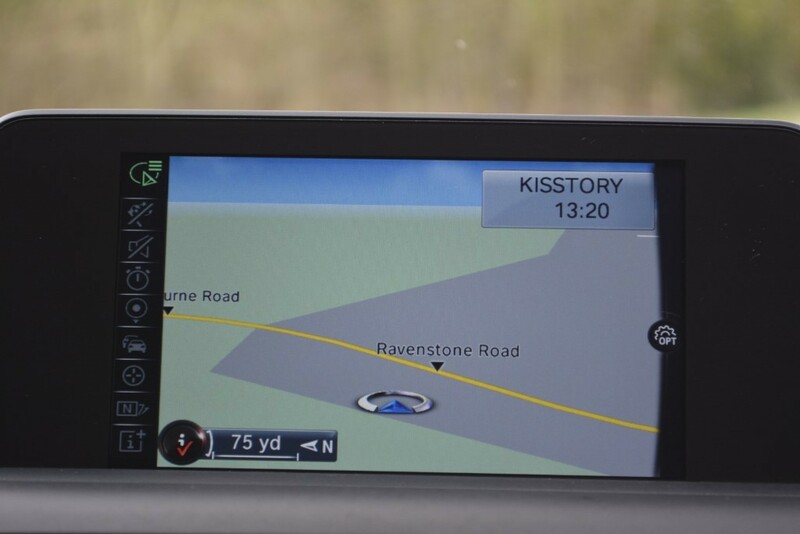 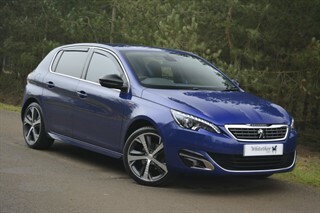 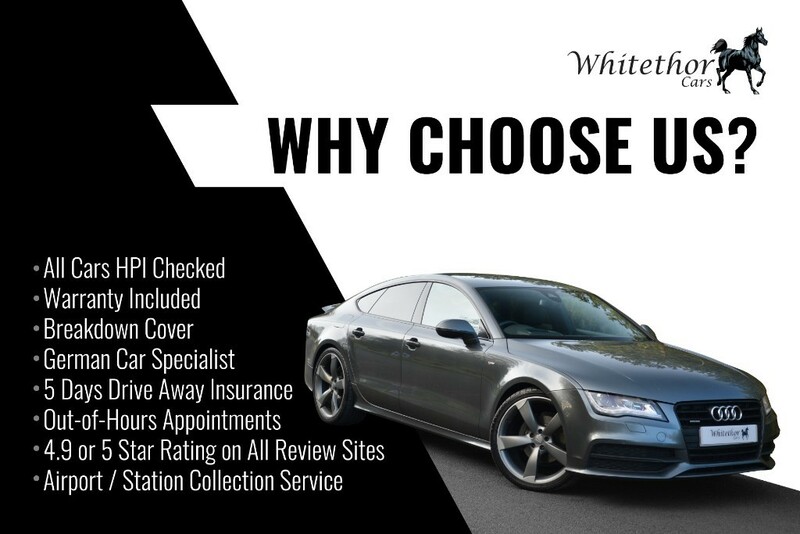 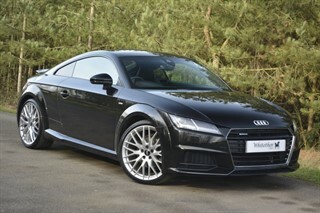 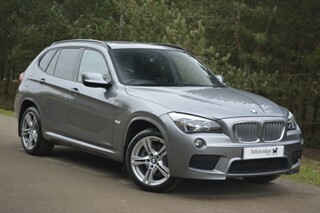 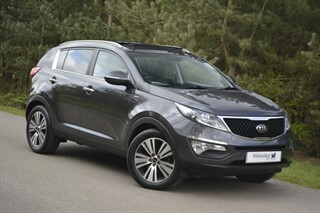 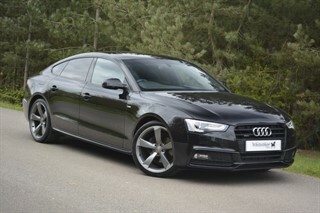 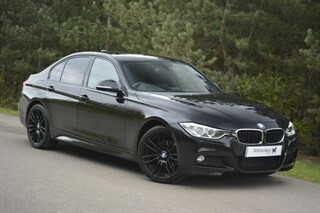 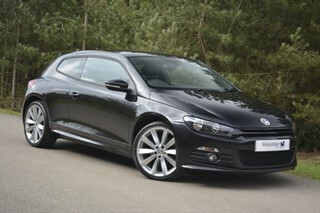 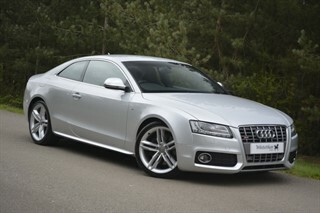 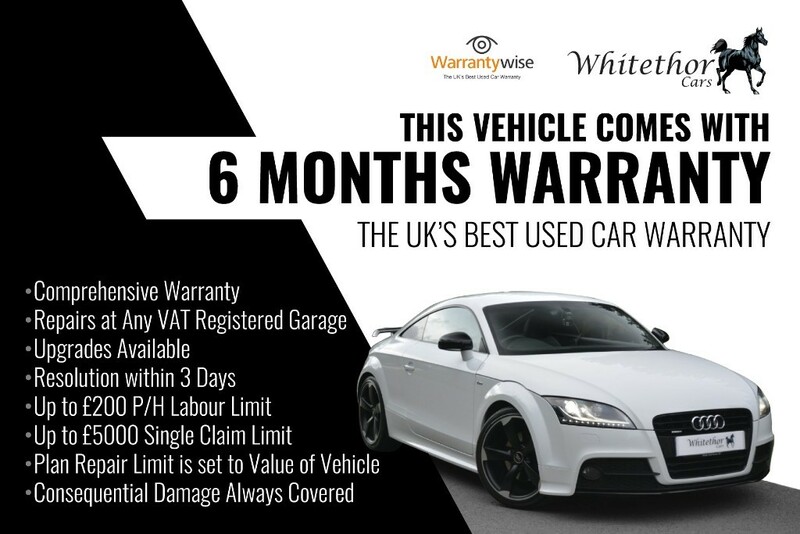 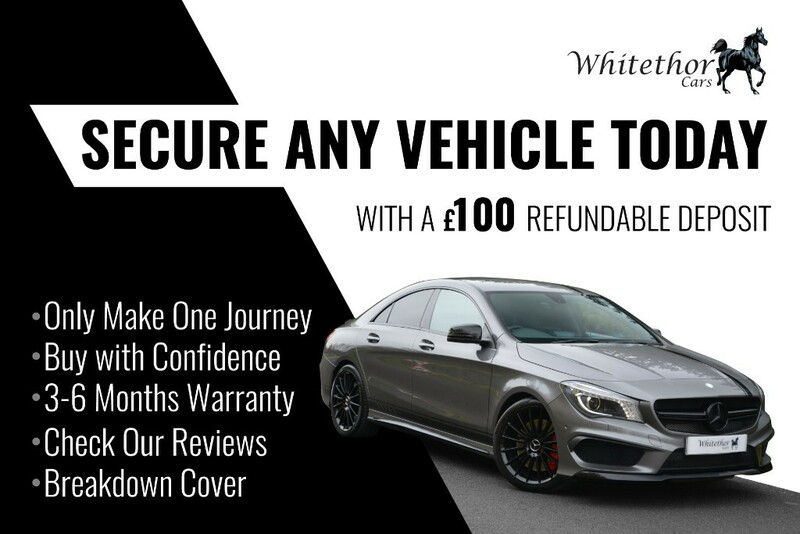 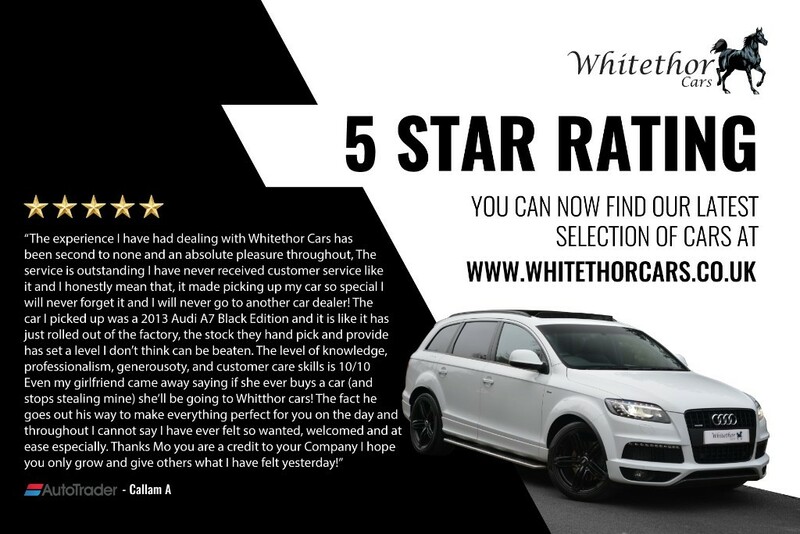 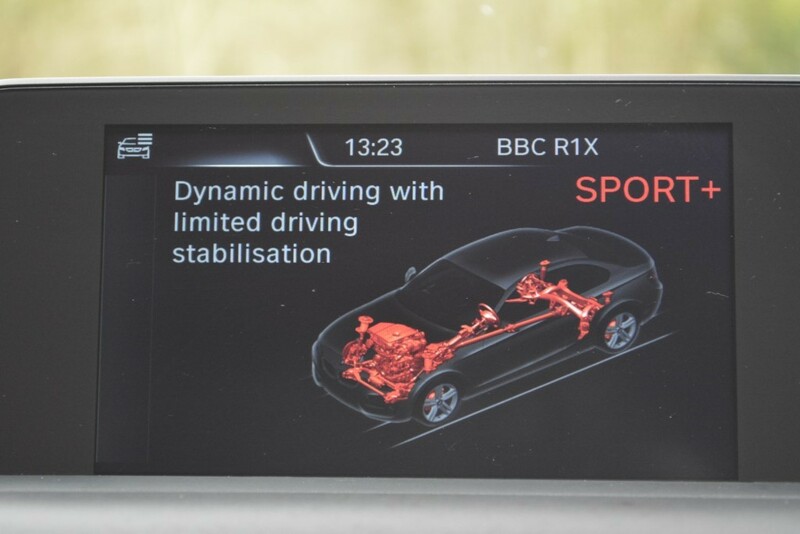 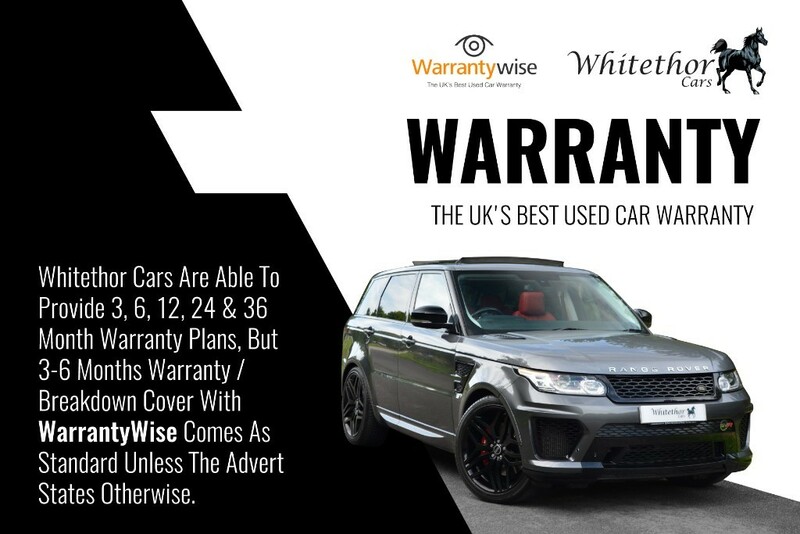 It also comes with 6 Months WarrantyWise Platinum Warranty (£5000 per claim limit) * Breakdown Cover. 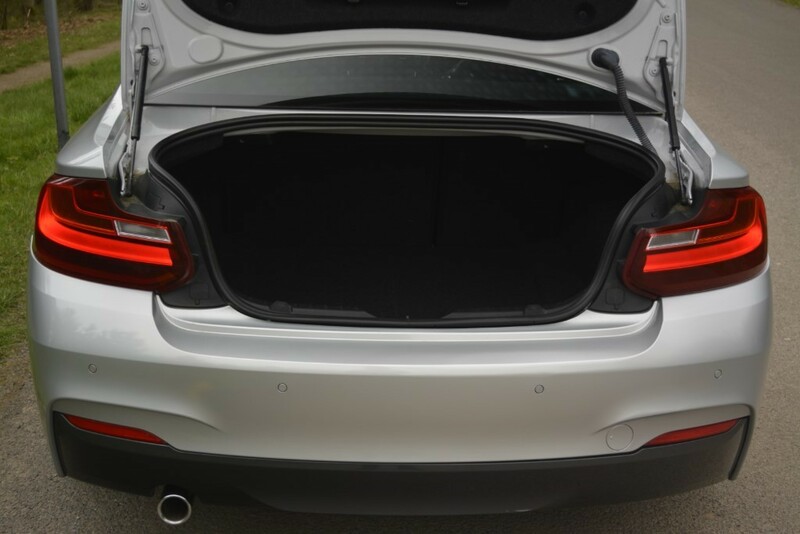 Drive-away Cover can also be provided.